Retiree Association of Flight Attendants-CWA - LATEST UPDATE! Pass riders will have 3 choices when listing in employeeRES or on the United app for those flights. In the “service” drop-down box, select either “Polaris Business” (J), “Premium Plus” (O) or “Economy” (Y). 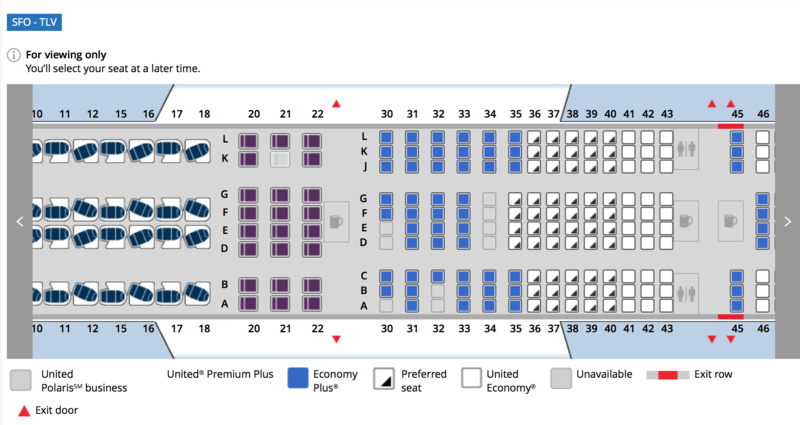 How much does standby travel in United ® Premium Plus cost? When using a vacation pass, ALL retirees and their pass riders will fly “service-charge waived” systemwide. That’s free….although ALL pass riders must pre-pay departure taxes and airport/regulatory fees when applicable. International Polaris Business (J) class: 50% off the ZED fare. Service charges in “O” and “J” class on domestic routes: 90% off the ZED fare. Note: Regardless of years of service, retirees and their pass riders who travel using a personal pass in Economy fly service-charge waived. Retirees with 25 or more years of service and their pass riders travel service-charge waived in all classes of service. Just remember, you must pre-pay departure taxes and airport/regulatory fees when applicable. To check applicable service charges, departure taxes, fees and your taxable pass rider’s estimated imputed taxes go to employeeRES > Quick Links > Helpful Travel Links > Pass Calculator. As increased security measures roll out across the company, United is working with partners to ensure the same level of security applies in all of our United transactions. As part of that process, United’s benefits administrator is enhancing security for Your Benefits Resources (YBR) to better protect your YBR account. The first time you access YBR on or after February 19 – whether you get there through Flying Together or by directly logging on to YBR – you’ll be prompted to create a new, stronger password to use when you directly access the Your Benefits Resources site. You will not need to use this new password when accessing YBR through Flying Together, but you’ll still have to create the new password. Directly accessing YBR will then require you set-up two-factor authentication via text, email or a phone call. Super secure! You’ll also be asked to create a separate and distinct phone PIN to use when you call the United Airlines Benefits Center. These are one-time updates that you will have to complete on your first visit to YBR. If you have any questions related to your YBR password or PIN reset, you can contact the United Airlines Benefit Center at 1-800-651-1007. Representatives are available Monday through Friday from 7 a.m. to 7 p.m. CT. Starting last year (in March 2018) retirees began receiving quarterly invoices with estimated tax withholding amounts for imputed taxes that your taxable pass riders (Enrolled Friends, etc) accrued. Your annual W-2 statement for 2018 is now available through Your Benefits Resource (YBR) and was sent by U.S. Postal Service at the end of January 2019. Use your Form W-2 as an offset to your actual tax obligation. If you did not receive it and would like to print or preview your Form W-2, you may access it through the “Get your W-2 Wage & Tax Statement” tile from the YBR homepage. The tile will be available by the end of January. For a record of your Travel Liability payments click the tile that says “View/Print invoices”. Note, if you did not have any taxable pass riders travel during the reporting year, you will not be subject to tax and will not receive a Form W-2. Questions? View the complete list of frequently asked questions and available resources at Flying Together > Travel homepage > In This Section > W-2 Pass Travel Tax Reporting page. If you still have questions, you can also contact the Employee Travel Center through Help Hub. Important: As the sponsoring retiree, you are responsible for ensuring your pass riders understand and comply with all United’s pass travel policies, their transactions including but not limited to ePass allotment deductions, pass riding conduct and answering any pass travel/employeeRES related questions. From Pat Palazzolo, Pass Travel Rep for RUPA…. THANKS, PAT!